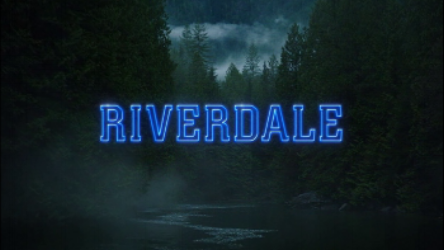 The season two premiere of Riverdale begins with a heart wrenching scene with Archie rushing to his dad after the fatal gun shot that ended the season one finale. The gang gets back together when Archie calls to tell them the disheartening news. Heartbroken and in distress, Archie calls his mom to break the news. This scene, filled with emotion and uncertainty, has me on the edge of my seat wondering is Fred Andrews will be okay. Archie goes back home to change out of his bloody clothes, and things get steamy between him and Veronica. When Veronica empties out the bag of Fredâ€™s clothes that the hospital gave to Archie, there is a sudden shift in moods when Archie canâ€™t find his dadâ€™s wallet. Even though Archie breaks down and snaps on Veronica, she refuses to back down and stays there in Jugheadâ€™s time of need. Throughout all the trauma, Jughead always seems to lighten the mood. While Betty is down in the dumps, Jughead still manages to see the light at the end of the tunnel. While this episode is filled with plenty of Bughead moments, you even get some cute moment between Archie and Veronica. Meanwhile, a side plot off with Cheryl, who has gone completely off the rails. We find out that Mrs. Blossom got third degree burns from the fire Cheryl set in the season finale when she went back to try and save a family portrait. Cheryl is now blackmailing her mother, with valid reasoning in my opinion. Her family has put her through so much itâ€™s a wonder how she hadnâ€™t already gone crazy. The end of the article suggests that Mr. Blossomâ€™s death may have not been a suicide. Thankfully, we find out that Fred Andrews is okay before the episode ends. Archie makes it his mission to protect his father. His mother comes back home to help Fred out in his time of need. When they both go to sleep, Archie is up and alert with a bat, ready to protect his dad if anyone tries hurt him again. The scene switches and shows Ms. Grundy. who we haven't seen since mid-season one. She is with another young boy, about Archieâ€™s age, teaching him music. She is, of course, having an inappropriate sexual relationship with him, just as she did with Archie. It was unexpected seeing her in this episode because she has been out of the main plot for so long, but it soon became clear why she made this sudden reappearance. The mystery murderer sneaks into Ms. Grundyâ€™s house and chokes her to death. As always, this episode of Riverdale leaves you at the edge of your seat with a death defying cliff hanger. This episode is full of foreshadowing to coming events throughout the season.We saw Cheryl at her worst, and throughout the season I predict we will continue to see her spiral out of control. The same goes for Fred Andrews, but I think we will see his slow recovery throughout the season. By the end of the season, the big mystery of who the masked murder should be revealed; Iâ€™m pretty sure it is Veronicaâ€™s dad, but that might be too obvious. I have so many uncertainties about what will happen in the coming episodes, but one thing I do hope to continue is the Bughead romance.